In India, the watch market is dominated by brands like Titan, Casio, FastTrack, Fossil etc. Ralph Pierre, a new entrant in watch market is here to provide a strong competition with premium quality watches at affordable prices. Ralph Pierre, a new fast fashion watch brand by Incosi Fashions is bringing transparency in the Indian fast fashion market to end customers. The brand has launched a premium collection of Men and Women watches that people can easily buy at affordable prices. The watches are inspired from trending European designs and are powered by Japanese CITIZEN Miyota Movement and SONY® battery to make them one of the best products in the market segment. 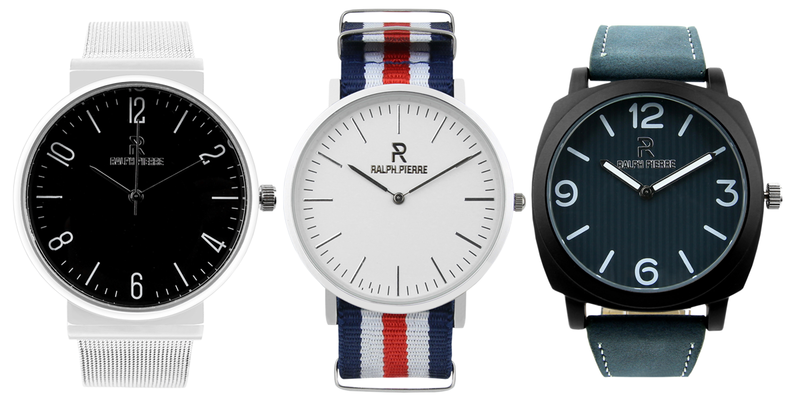 Ralph Pierre watches comes with 1 year manufacturing warranty. Indian youth is demanding quality products at the best prices. With an improved living standard and exposure to worldwide fashion, there is a growing demand for fashion goods that meet international standards both in quality and design. Ralph Pierre products are available on their website and all the popular market places. One can find the details about the cost of each and every part that goes into the making of the respective watch. By doing this, Ralph Pierre is helping people in understanding that they don’t have to pay through their nose to own a Premium Quality watch. Generally, an end customer pays a hefty amount owing to the several intermediaries and their respective markups. Ralph Pierre is cutting down the middleman and hence bringing a Premium watch to the end customer at an affordable price.